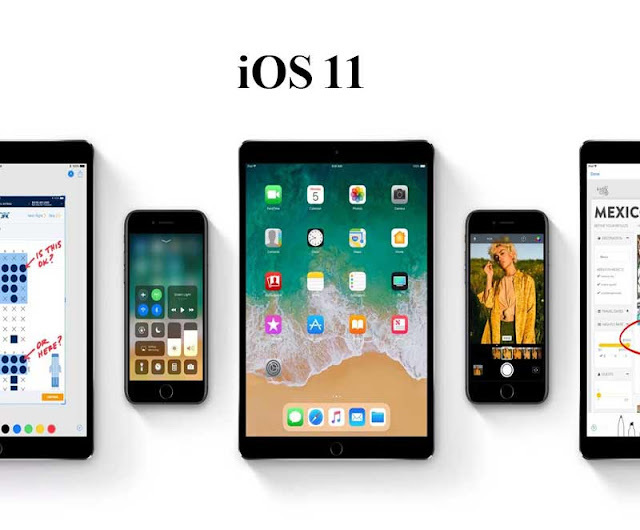 Apple has finally launched the much-anticipated iOS 11 in WWDC 17 and is currently available for download to developers with the public beta expected later in the year. When the final rollout happens, this OS version will be available as a free upgrade to everyone with compatible devices. Unlike last year iOS 10 launch, where all the attention was taken by iMessage new features, this year there is not much to talk about the features. That does not mean this is not a significant update. In fact, this might just be the most significant update in recent times. That is because of iOS 11 is focused towards machine learning and augmented reality. So here is the list of cool and features that will come to your iPhone and iPad after the September public launch of OS. With iOS 11, there operating systems will start using a lot of contextual information to make life simpler for users. During the demo, Apple showed how words from an article the user were researching ends up being pushed as a suggestion in messages soon after. Also, actions will become more intuitive as apps will be suggested with context based on what you are working on. It will manifest itself in many other ways too. For instance, the phone will be able to detect if you are driving and silence the notification and darken the screen. Machine learning will also help the system recognize handwriting in notes and make it searchable via Spotlight. With the latest version iPad will make using the iPad much easier and productive. There will be a new dock which will help with multi-tasking with users now getting the ability to drag anything new app over what they are working on. As a next step, they will be able to drag and drop links, pictures or text from one app to the other, making work much easier on the tablet. Apple has opened up the dual camera API to developers, so you can expect apps that make use of this feature which is now limited to the iPhone 7. Meanwhile, Live Photos now have loop and bounce effects while users will be able to trip them as needed. Also, Apple’s new High-Efficiency Image File Format (HEIF) will make photos and videos shot with the iPhones lighter and thus easier to handle. Siri has been getting more intelligent over time. Now it will have a more natural voice too, able to stress words for instance. Plus, Siri will be able to translate to multiple languages based on voice queries. Apple has not changed the iOS look and feels much with iOS 11. However, the Control Centre one of the most used features on the OS has been changed and will now be just one page. On the iPad, the control centre will also come with an app locker to assist with multitasking. There is also a new one-handed mode for use on the larger screen sizes.